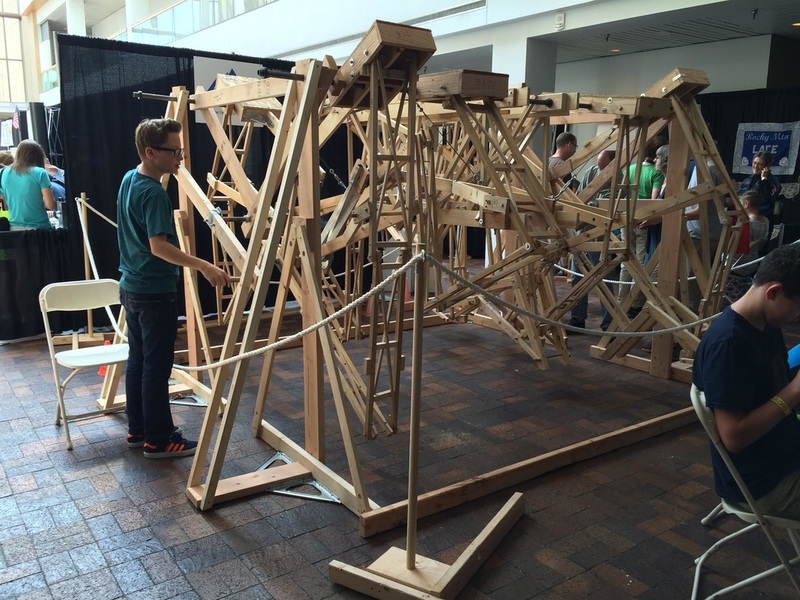 We had a tremendous time at Denver's Mini Maker Faire! It was our first one, and we were blown away by how great the people are - both attendees and Makers. Everyone is curious, everyone likes to talk about ideas, everyone seemed passionate about education and how to learn to solve problems. I was happy that TrotBot generated so many looks of wonder, but I was most happy about our team. If you were at the Museum during setup on Friday you would have seen 6 kids in Bob-the-Builder hard hats doing all the assembly of this incredibly complicated machine. They managed the entire process in two teams, and had a blast doing it.